Reports say that Apple will start a trade-in program for iPhone in June that is aimed at getting iPhone users to upgrade to the latest iPhone 5 and turn back in their older models. The new exchange program will be run by Apple together with Brightstar Corp, a distributor of mobile-phones. The plan has not been announced publically therefore sources requested anonymity. 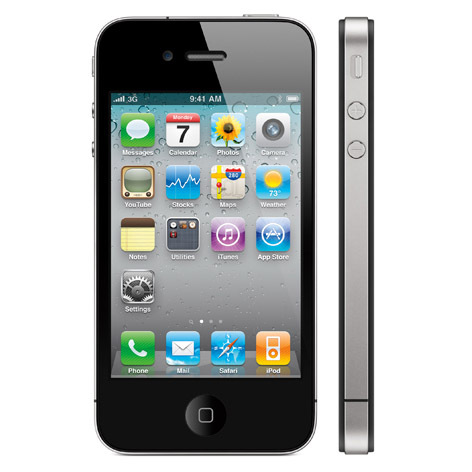 Trade-ins are also handled by Brightstar for T-Mobile and AT&T along with other device makers and carriers, amidst brisk demand for iPhone 4s that are refurbished, in emerging markets. By offering compensation for smartphones that are older, Apple is seeking to keep consumers using their product and upgrading to their latest models. It is part of the effort of the tech giant to reignite its growth in sales and combat its stock price decline. An Apple spokesperson and a spokesperson from Brightstar both declined to comment on the situation. For iPhone 4s and iPhone 4Ss, AT&T is paying up to $200, which might allow some customers to purchase an iPhone 5, without a down payment. It is estimated that 20% of the consumers in the U.S. purchasing a smartphone in 2013 will do that by trading in, which is an increase of 11% from 2011. Apple until now did not pay much attention to the market for refurbished iPhones. However, that has changed as the growth in the iPhone market has slowed over the last few quarters. The best selling smartphone brand was taken over by Samsung Electronics in May. Apple had sales of 37.4 million during the latest quarter compared to the same quarter last year of 35.1 million. Shares of Apple stock have fallen by 38% since its record high in September of last year. Investor concerns over the rapid growth era of the company that was originally prompted by the debut of the iPhone in 2007, coming to an end have weighed on the stock.